Shows in couples and groups that take your breath away and animations to get your party started by our amazing Show Team of professionals & semi-professionals. 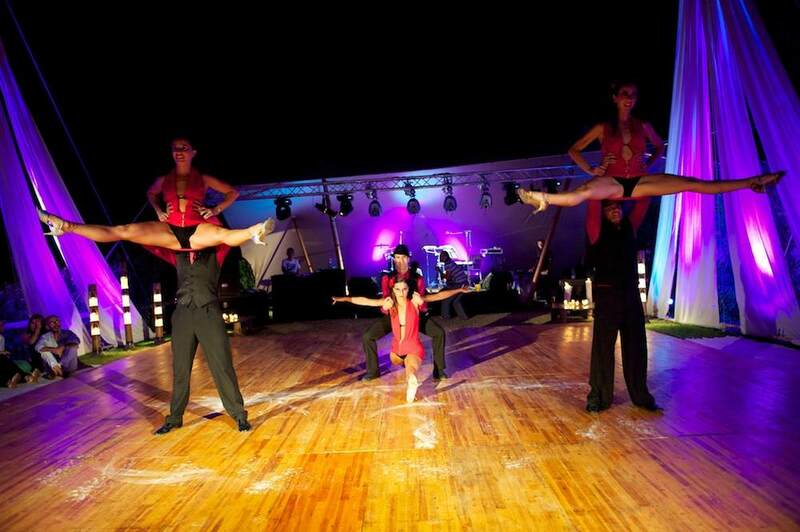 The Nicolas Valiente Dance Group offers spectacular Shows and entertainment for your private party, wedding, hotel, etc. 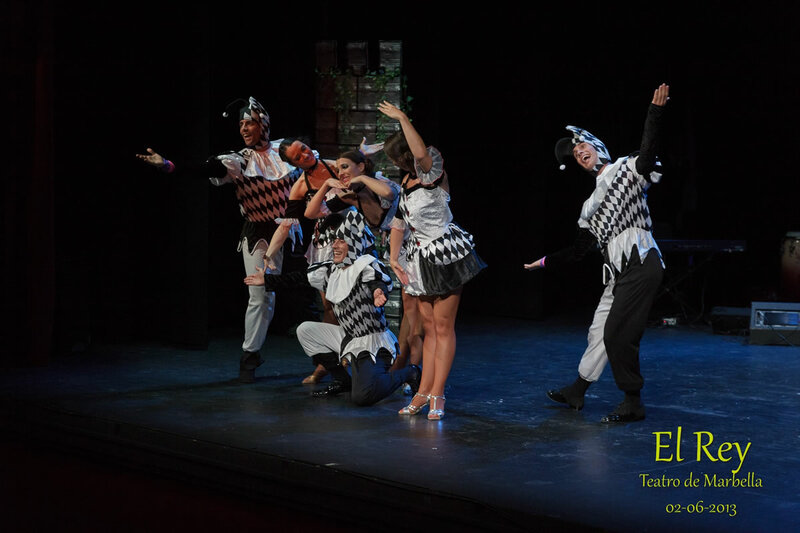 We are all passionate for dance and love entertaining, which transmits to our audiences through our shows. We offer group latin performances, which can also include live music, of anything from a 3 mins show to a 1 hour mini musical and also fantastic animations that get EVERYONE on the dance floor. 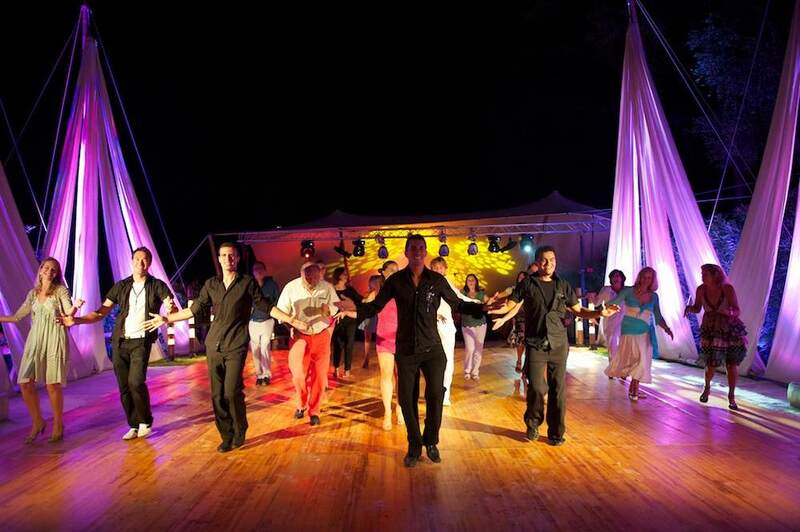 We have various shows from Tropicana to Medieval themes and have performed at the Vincci Hotel, Club La Costa, Guadalmina Hotel, Villa Padierna, The Congress Palace in Marbella, Hotel Don Pepe, Sonrisa Studios and more. Niko has salsa in his blood. 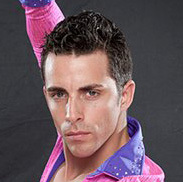 He has danced all over the world and achieved high positions in worldwide dance competitions and then returned to Marbella to follow his dream: open his very own dance school. She has her personalised style. She comes from a background of ballet and started dancing salsa when she met Niko, achieving a very high level in very little time. She is the "Organiser" of the NV School. Do you want your wedding to be unique and have a Latin touch? 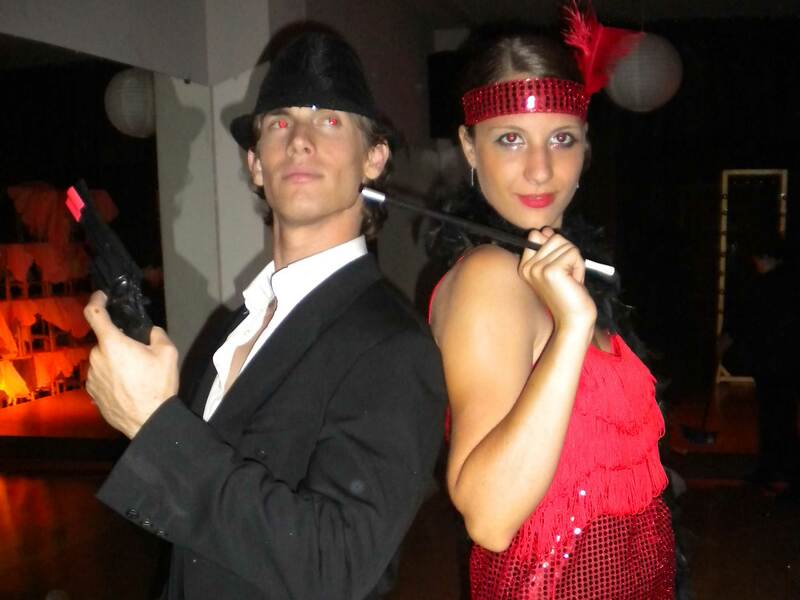 We can provide partner or group Latin shows (tailor-made to suit your wedding and budget) and / or animations to get your wedding party started with 1 dancer or more. 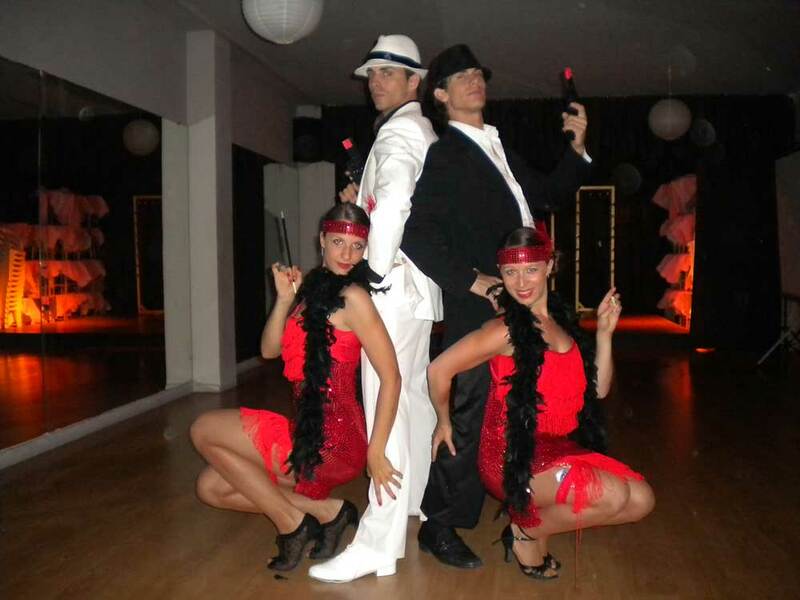 We are experienced professional dancers and love to get the crowd gasping from our shows and after eager to join in with our easy and fun group dances. We offer a fantastic wedding pack to prepare the lovely couple for their first dance together as husband and wife. May it be waltz, cha cha, latin, tango or a slow romantic dance, we just need to know the song you wish to have and we prepare the rest. We also have a pack if you want to have a surprise with some guests joining in with the dance! Not sure how to get your party started? 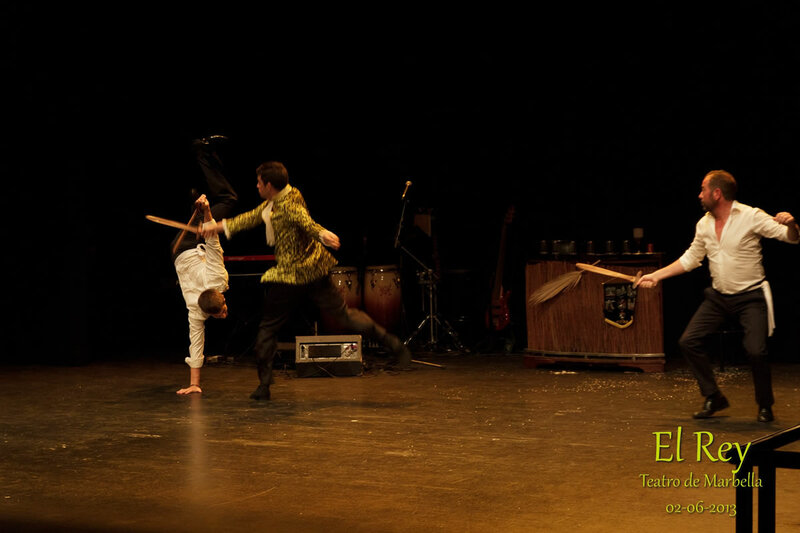 We love to entertain! We can start with a few couple or group shows or a mini class for your guests or just go straight to animating your party with some well-known Latin party songs. 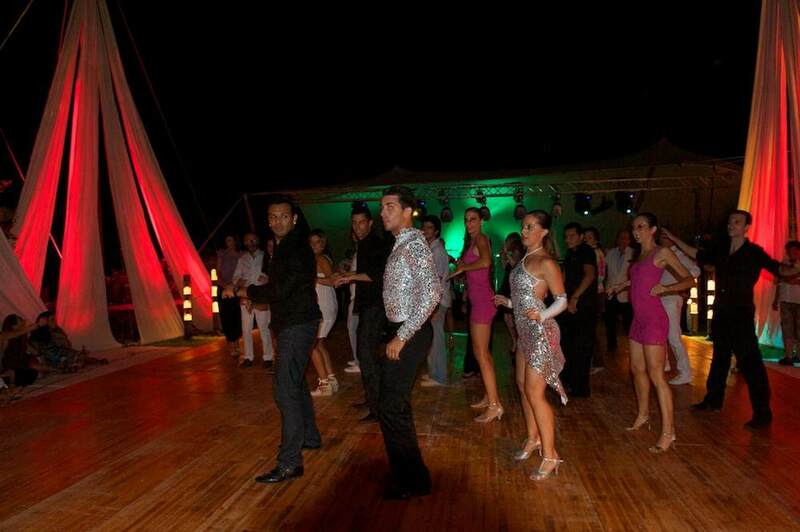 If some of your guests have never danced before, don’t worry, we will get them moving their hips! Good looking strong men that can move their bodies and take you dancing…who could ask for more? Come to La Clave and celebrate your hen party with some dancing! Our male dancer/s will start with a Latin dance class suitable for all ages and levels of dancers and then finish with a special dance for the bride to be. If you need some Dutch courage, you can also enjoy this experience with a bottle of Cava. We have several themed Latin Musicals that can be performed by 1 – 3 professional dance couples lasting between 45 mins – 1 hour. We normally offer hotels a musical and after guest participation with fun and easy animations. 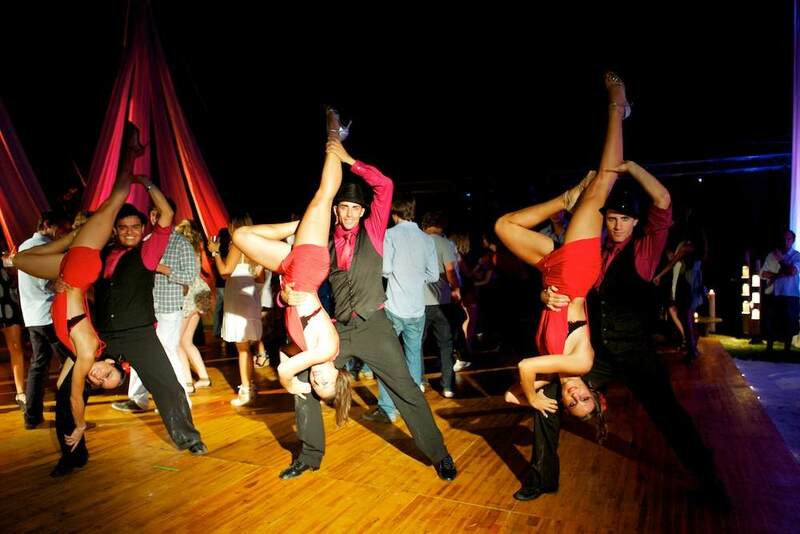 People love our fun, entertaining and breathtaking performances. In June 2014 we had the fantastic opportunity of meeting and performing with James & Ola from Strictly Come Dancing at the Liberation Guernsey Music Festival! An amazing experience on a fantastic stage and with great people! Promise, Los Bacheteros Valientes. Alumnos de Academia de Baile Nicolas Valiente. Niko y Marisa en el video musical de Necxis "Corazón"
The dance school can be found in the centre of Marbella, near Plaza del Mar and under Casa Nostra restaurant. We are Niko and Marisa—partners in dance and life. Salsa isn't just our lives and passion but also our way of being. We love to transmit this to our students and see how they are filled with this magnificent way of life. Like us on Facebook to find out about happenings.